South Africa’s vast wilderness is home to some of the most impressive animals on the planet. Travellers may come across several of these great creatures as they traverse the African plains, from the massive African elephant to the reclusive but powerful leopard. A good local guide can help vacationers see in South Africa many different animals, although travellers can stumble upon some of these animals on their own. The lion has been used as the symbol of regal power in many nations for hundreds of years. Its incredible strength and pack organization makes it one of the most dangerous hunters on a holiday to South Africa. Lions can be spotted prowling grasslands or lazing near watering holes. 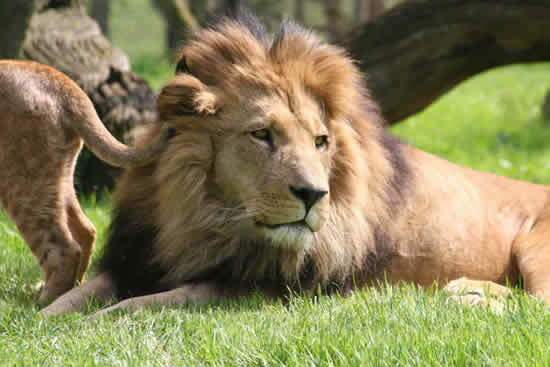 Even lions sometimes have difficulty taking down the African buffalo, whose bulk and dangerous horns can drive off even the most determined of predators. Buffalo are grazing animals, and prefer open areas with plentiful grass to eat. These buffalo can get as heavy as 2000 pounds, and have brown, black, or red coats. They’re identifiable by their large, upward-curving horns. Buffalo may be large, but they’re tiny compared to the gargantuan African elephant. 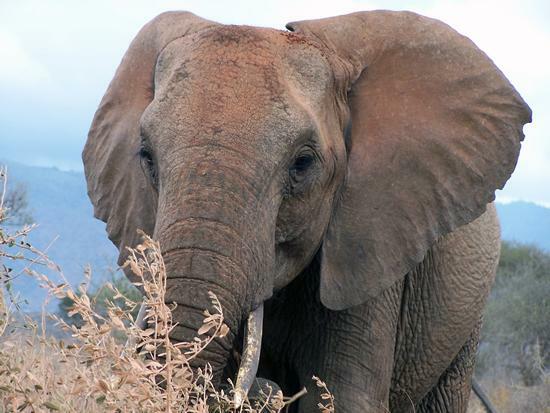 The largest land mammals on Earth, African elephants can weigh as much as 13,000 pounds, and stand up to thirteen feet tall. These are likely the most exciting animals for a traveller to see in South Africa. An animal only the luckiest of people spot when travelling through Africa, the leopard keeps to itself. It is often confused with cheetahs due to its spots, but it’s bulkier and stronger than its quicker cousin. Leopards can be found in trees, which they climb effortlessly with their thick muscles and long claws. Rhinoceroses have changed little over millions of years, and are among the oldest species of animals still roaming our planet. The most common rhinos to spot in South Africa are the South-central Black Rhinoceroses, which have thick, dark skin and the distinctive horn that hunters and poachers so value. Rhinos love water, but can be found in grasslands as well. An animal you may want to keep your distance from, the honey badger is one of the most fearsome creatures in Africa. It has a distinctive wide white strip of fur along its back and thick, baggy skin that protects it from claws, fangs, and according to some, bullets. These small creatures are usually spotted as they cross roads, and often disappear into long grasses or burrows, making them hard to track. Though not as large as leopards or lions, honey badgers are very dangerous and may attack humans. There are few places that boast as many large, powerful, and strange animals as South Africa. Whether you’re passing through or spending a while, you may want to keep your eyes open for rhinos, elephants, and many of the other striking creatures that can be found in Africa. Alex is a travel writer for Africa Sky holidays who has enjoyed many safari assignments in South Africa, Kenya and Botswana.